Buying a new car in Singapore is a sign of success. But, it is also one of the most expensive places to purchase a car. It is why it is very common for almost anyone to make a loan to do so. Applying for a car loan might become tedious, complicated and very time-consuming. Here are tips and tricks which can help you get an urgent approval for your car loan may it be from a bank or a moneylender in Singapore. First and foremost, you should start contacting lenders beforehand to inquire about what types of documents you would need for the car loan application. The most common requirements include proof of income, driver’s license and a secondary form of identification. Having complete documentation can help you make sure that you don’t slow down the process of your car loan. Most money lender in Singapore has online services that can assist you in starting your loan application as well as provide information on the requirement, terms, rates, etc. Another tip to make sure you get approved is to ensure that you have funds to pay for the downpayment. Monetary Authority of Singapore or MAS requires open market value prices of $20,000 or lower to make up to 40% downpayment. Don’t forget that you might also have other fees to pay for your dealer or lender, in addition to the downpayment. You can inquire about what expenses you should expect to pay from appropriate agencies. As a rule, the monthly cost of your car’s expense should not exceed 20% of your monthly income. You have to make a budget which would include the loan, road tax, maintenance, car insurance, parking fees, ERP charges, petrol and many others. It will help you ensure that you have enough to pay for your car loan once something goes amiss. You should also save enough funds to pay for three to six months, just in case your income diminishes or is lost. It will give you time to recuperate and find an alternative or new source of income. 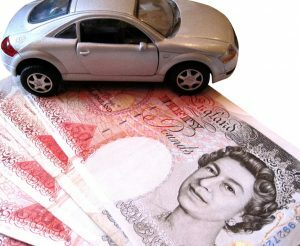 It is best to assume that if you don’t have any savings, you might not be able to afford a car loan. Especially, when you’re living paycheck to paycheck, you might end up selling your car to repay the loan. Look for all the options you can have and compare the rates to find the cheapest loan. There are four different sources for car loans from which you can choose. Bank – The most traditional and common route to take is to apply for a car loan from a bank. They require for you to have a stable income and a good financial history. Upon application, you need to provide information about your: name, occupation, length of employment, employment history, sources of income, total monthly income, date of birth, NRIC, address, and existing credit accounts. Finance Company – They are companies that usually works with the bank, insurance companies, and car dealers. Mainly focused on providing saving deposits and credit to individuals or firms. This type of companies purchases vehicles with intent to resell. The Seller – At times, a seller can make up a deal with you. They could give you a choice to pay a deposit or in installments. By paying the deposit, the balance would be paid once the ownership is transferred to your name. But with installments, you get full ownership after you paid the completed amount. Having poor credit score gives you the possibility that the bank may lower your loan quantum or reject your application entirely. Your credit score is very important for getting major loans such as a home or car loan. Get your credit score today from Credit Bureau Singapore or CBS. If you have a poor credit score, you can build your credit score up by bringing you repayments up to date. It can include credit cards, personal loans, student loans, and major loans such as a home loan. Under the Total Debt Servicing Ratio or TDSR, loan repayments should only make up to 60% of your monthly income. Be prepared and do all your research to avoid ending up paying more than you ought to or unintentionally hurting your chances of getting your car loan approved. These tips and tricks can also help you realize if you are ready and capable of taking the responsibility of owning a new car.